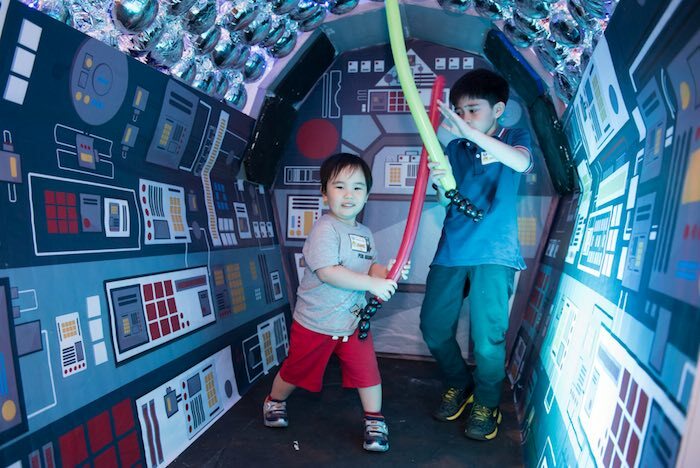 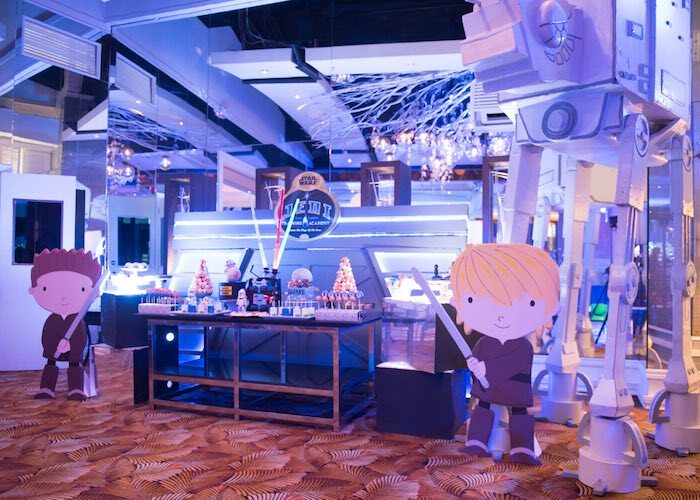 Watch out Star Wars fans, Luke Skywalker, Han Solo and all the crew are coming in fast in this Star Wars Birthday Party submitted by Jennifer Luna out of The Philippines! 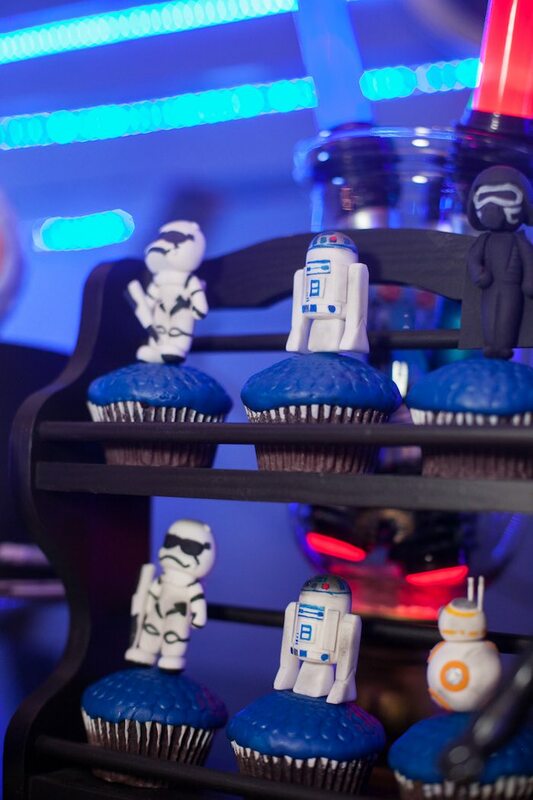 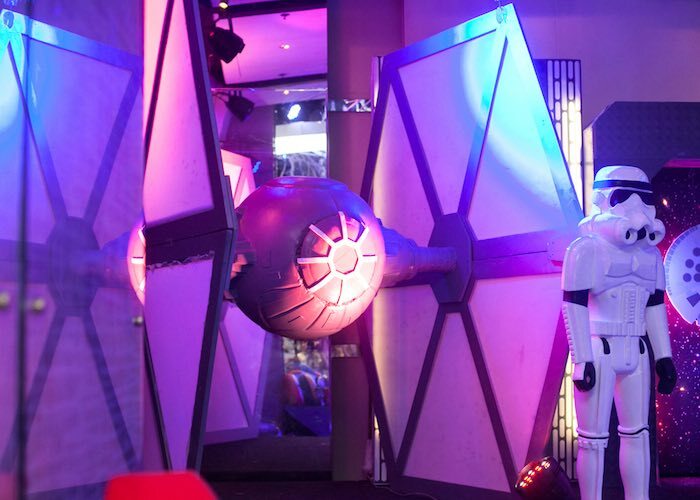 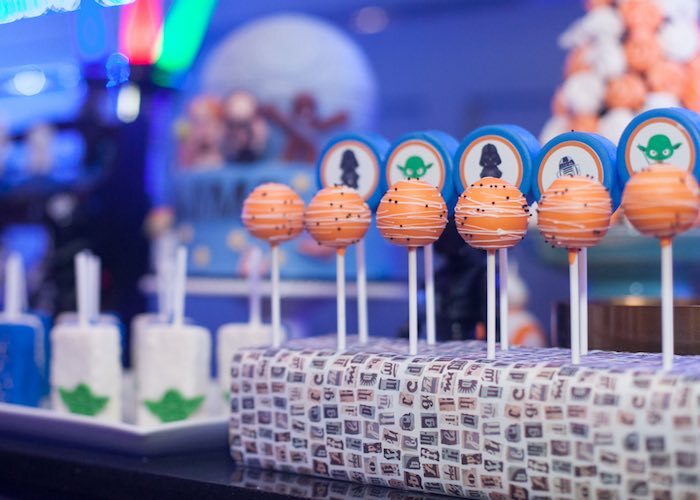 From the incredible Star Wars party backdrop and props to the custom cakes and desserts, this party is a Star Wars fans dream! 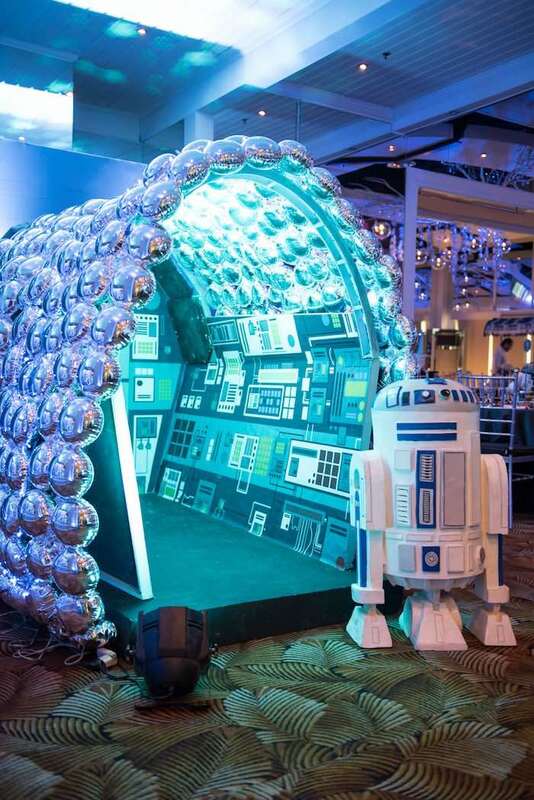 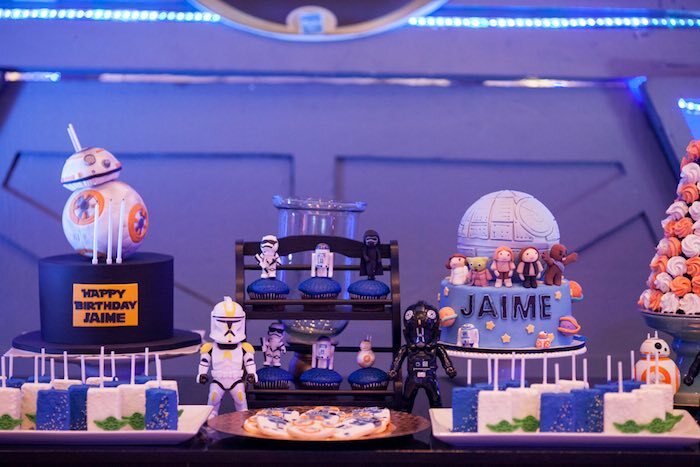 This is what Jennifer shared about the party- “I have always loved Star Wars and have always thought of having this theme to one of Jaimes celebrations, so we did when Jaime turns three! 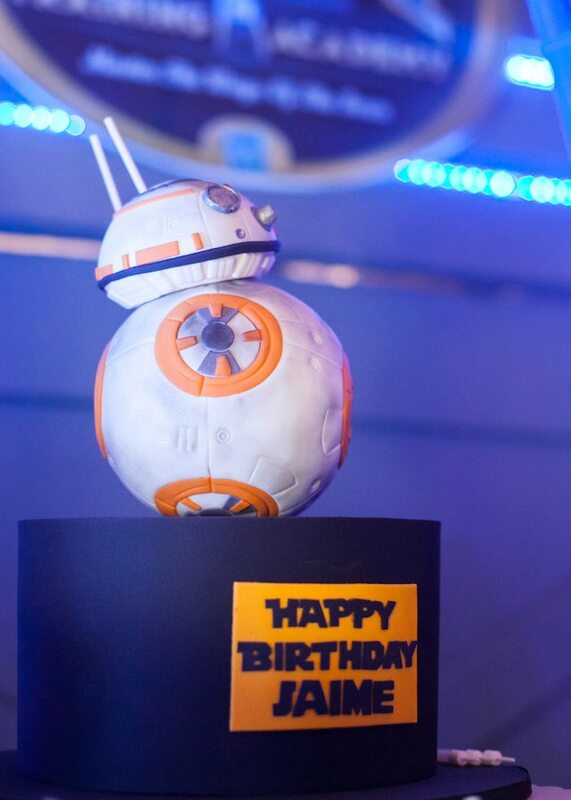 I got more excited because he started playing the Star Wars Lego mobile app and knew Robot D2, BB8 and Yoda. 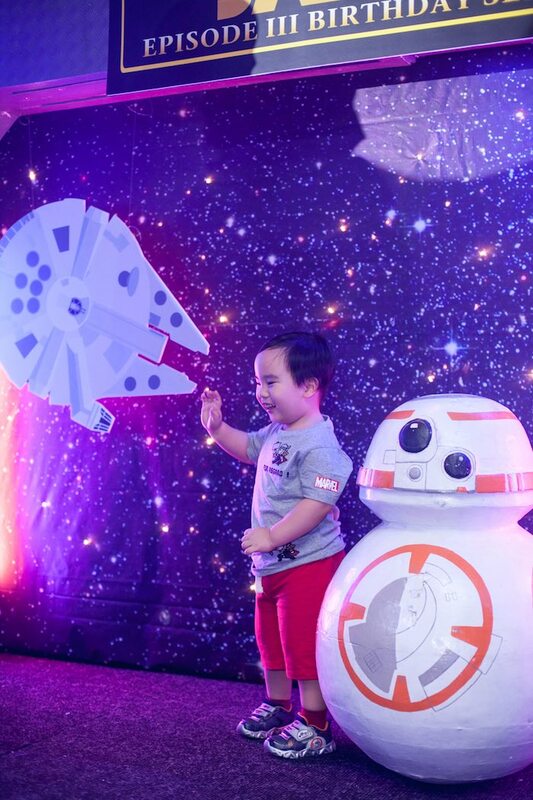 He likes BB8 and would only wear his favourite BB8 shoes all the time. 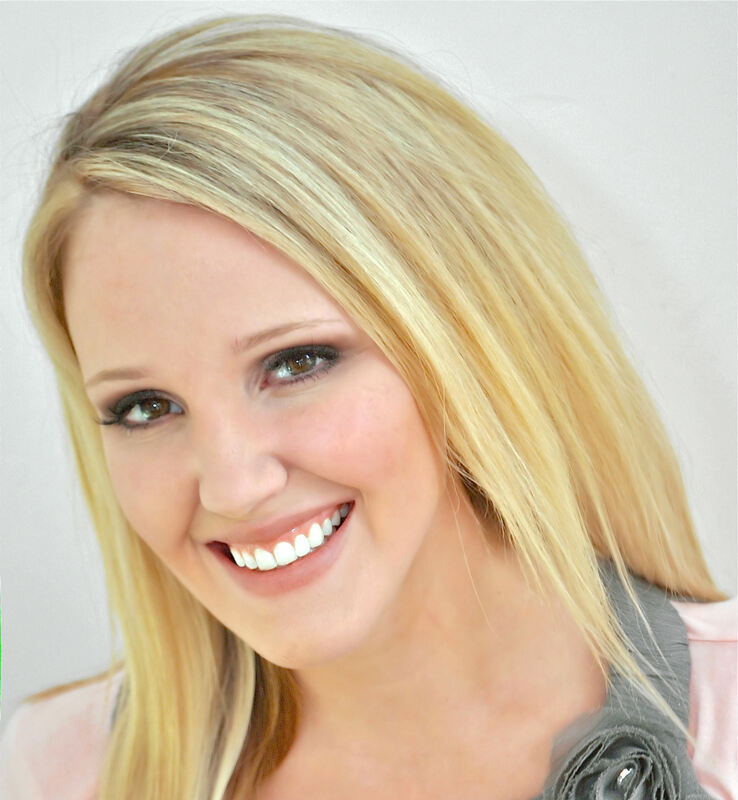 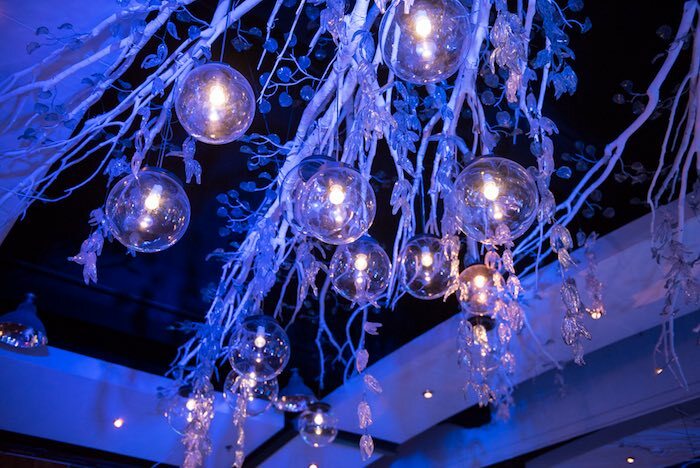 I got Michelle Lao of Party Magic to do the party styling. 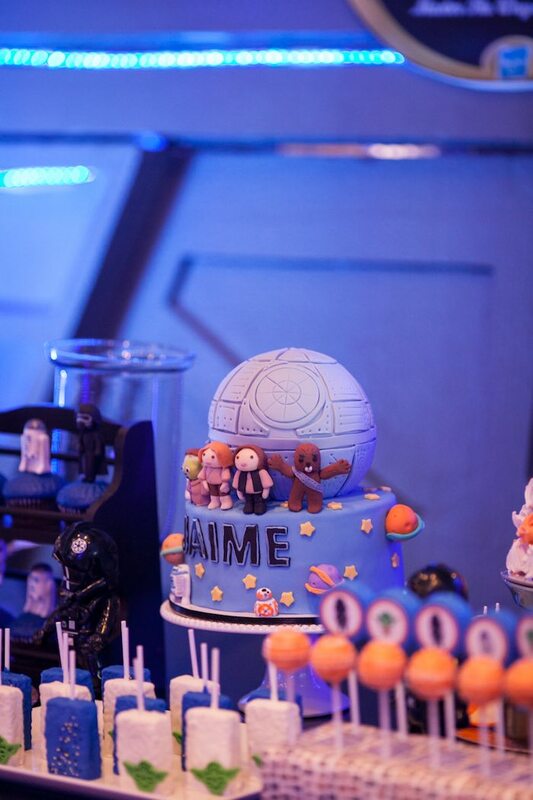 Her creativity is amazing and her team is superb. 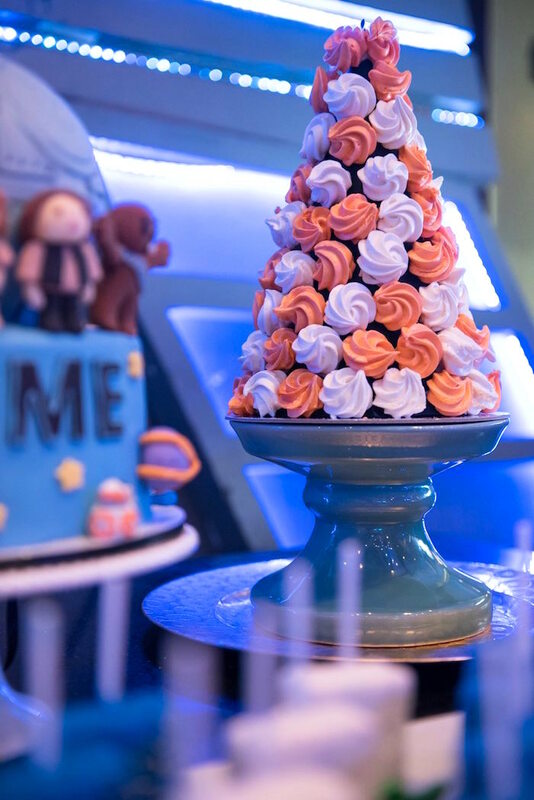 We all love every details of it! 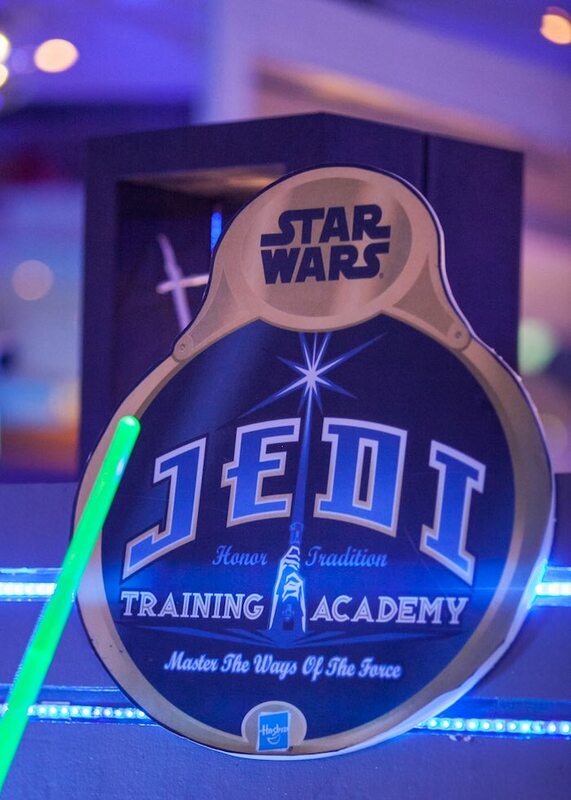 It was a joy seeing Jaime get excited when he saw Yoda in the doorway of the venue. 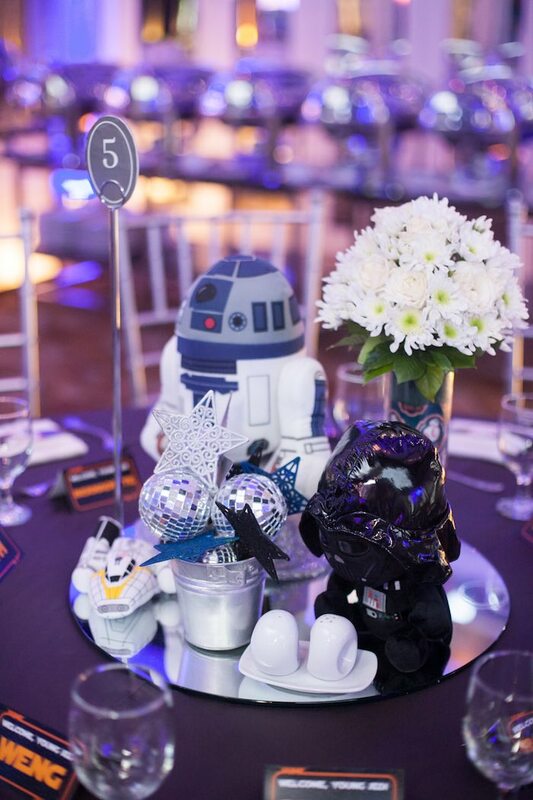 When he entered the ballroom, he exclaimed Wow, Star Wars!. 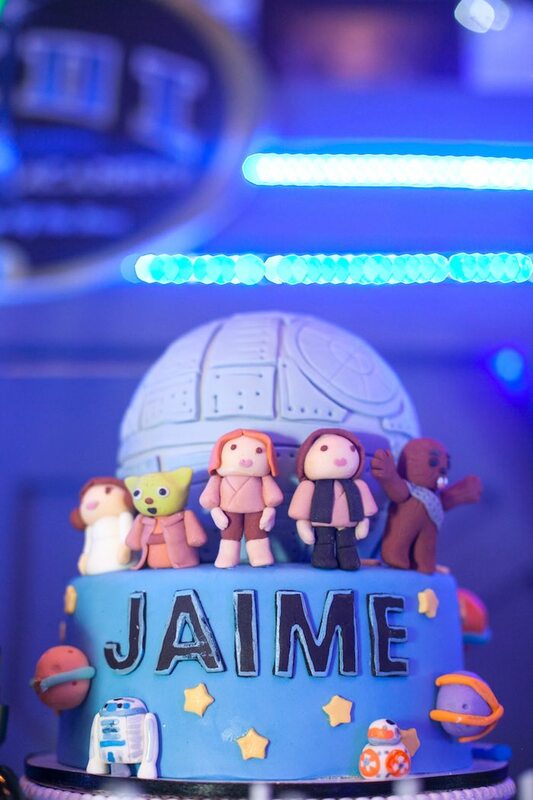 And there, we got Jaimes smile of approval! 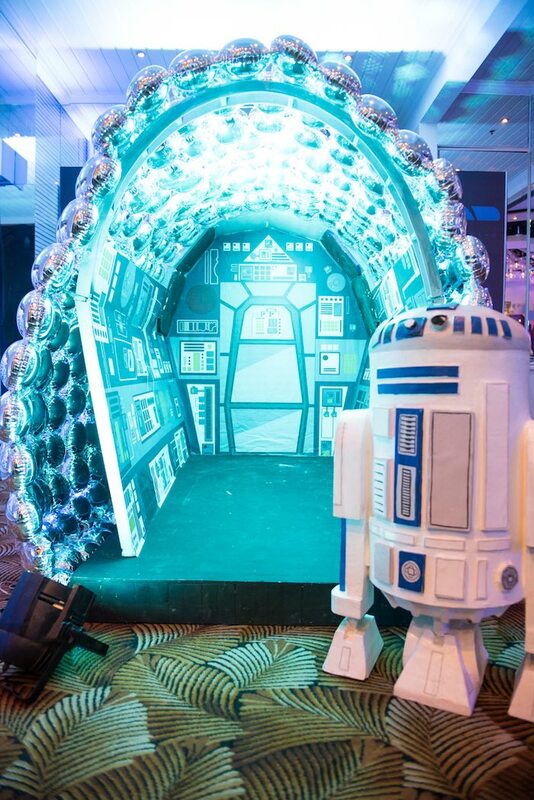 One of the most photographed was the spaceship inspired with the interior of the Millennium Falcon where R2D2 welcomed the guests. 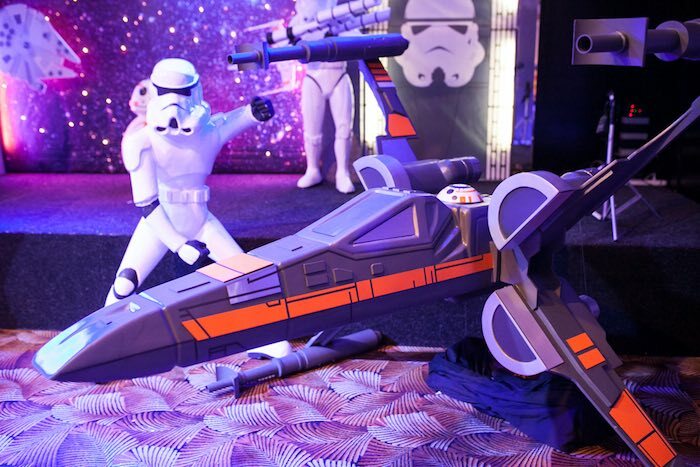 The Stormtrooper beside the entry area Star Wars Launch Bay was also a favourite. 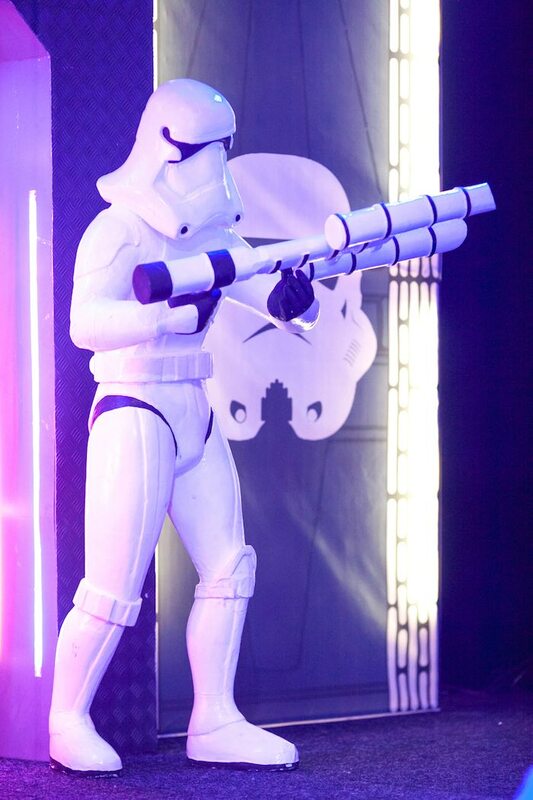 It actually made all of us think if its real, a cosplayer maybe? 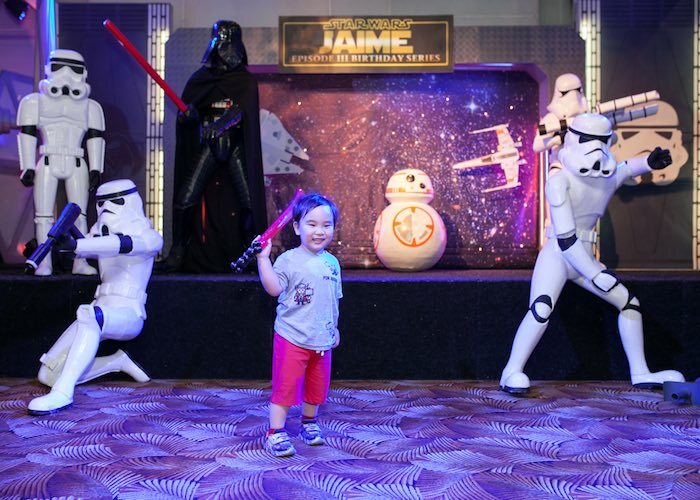 And everyone trooped in the stage where you will find Darth Vader, BB8, Stormtroopers, TIE Fighter, and an X-Wing starfighter. 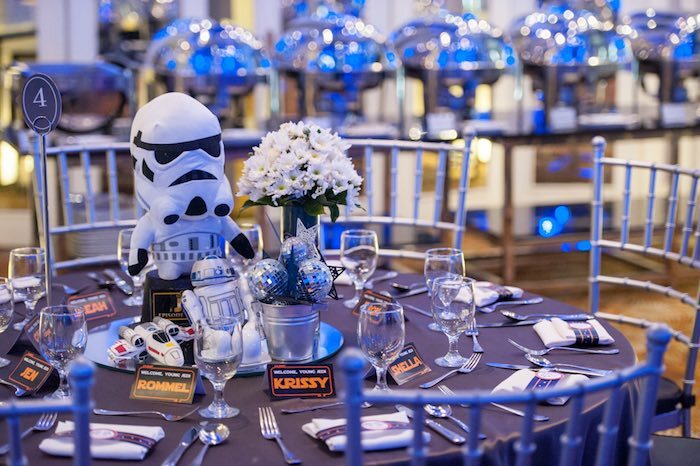 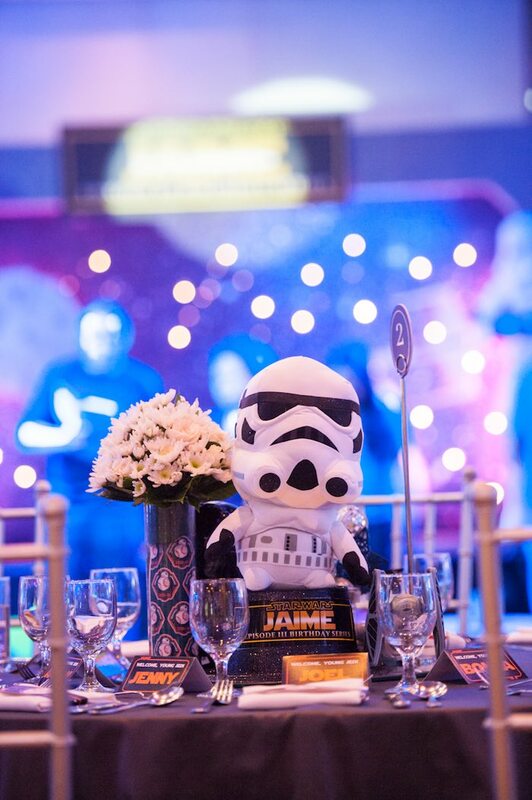 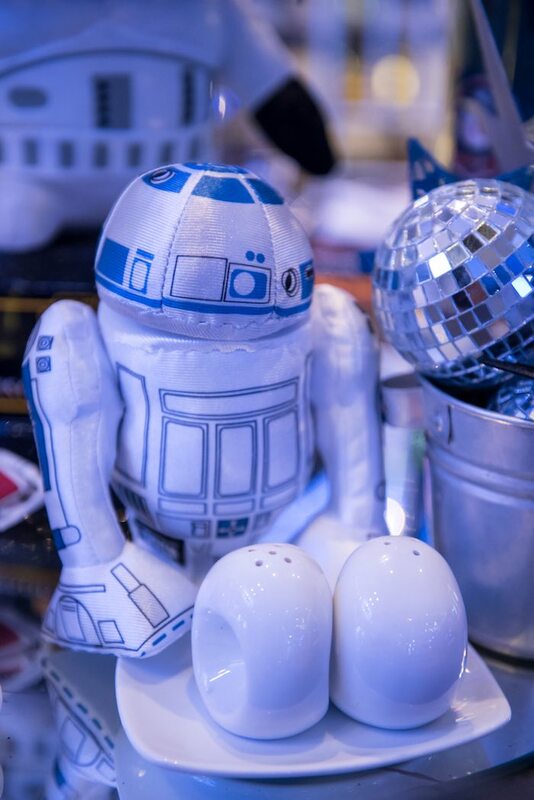 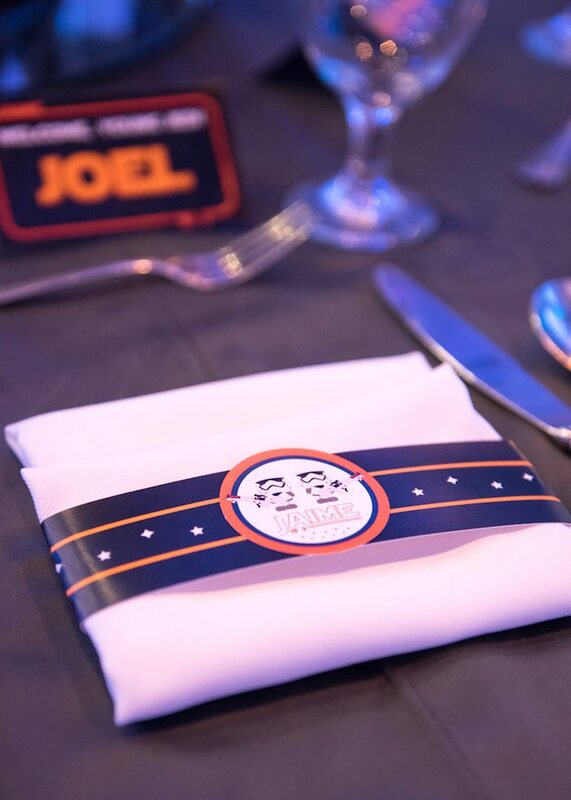 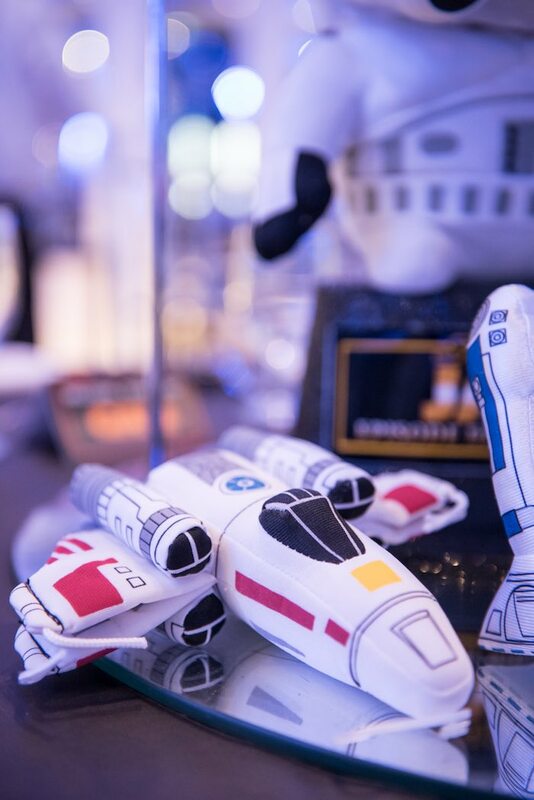 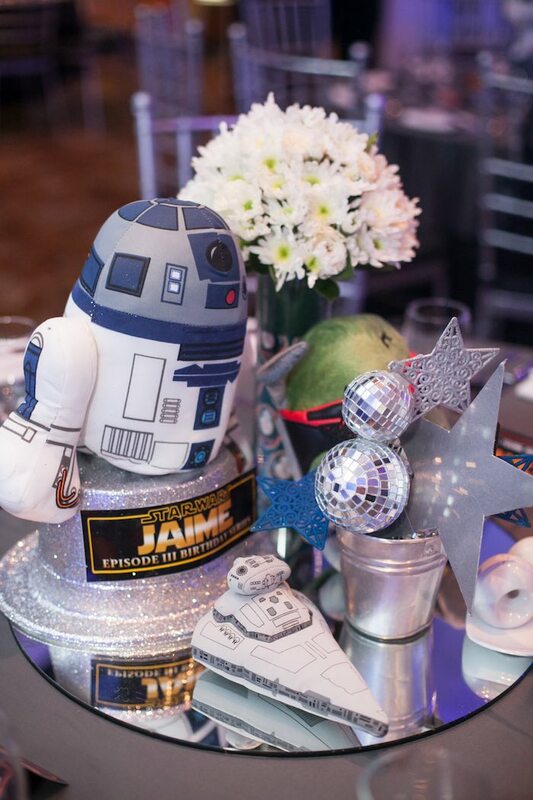 Some of the table centrepieces used were Jaimes Star Wars plush toys which added something personal and special to the celebration. 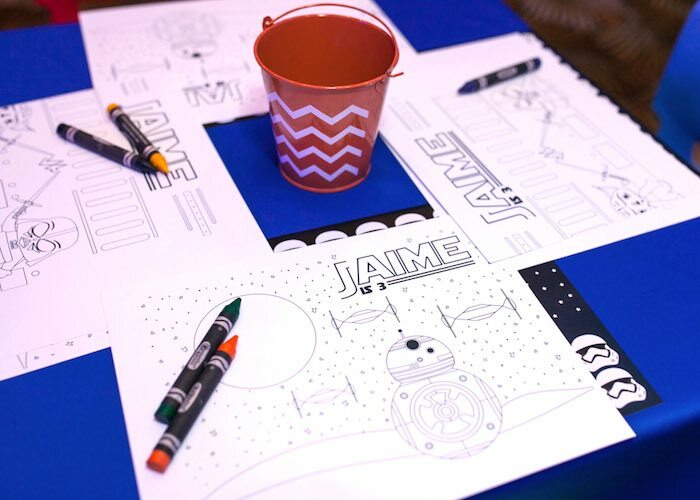 We had personalised name cards, name tags, colouring papers, utensil holders, and placemats. 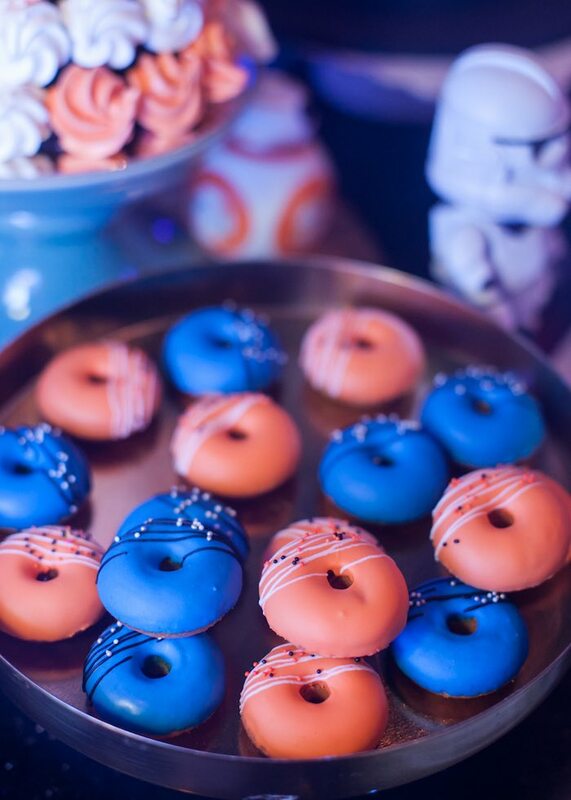 Luke Skywalker and the AT-AT were beside the dessert table, as if ready to offer you all sweets of blues and oranges too! 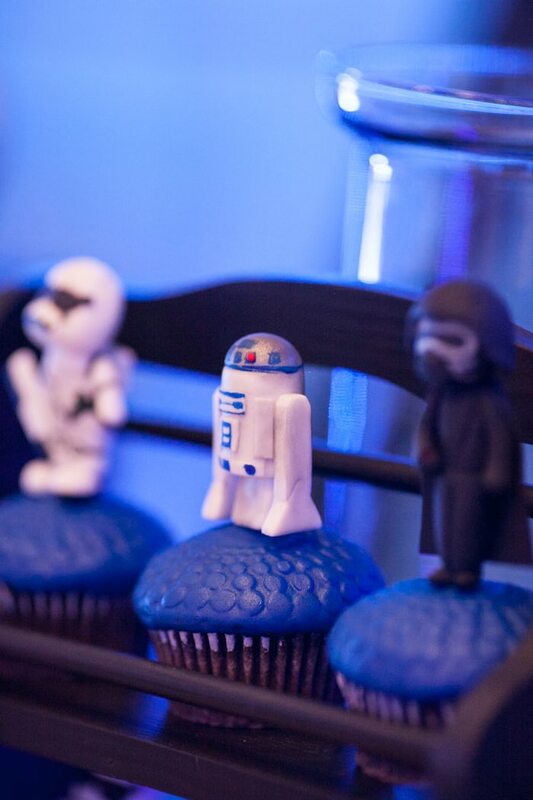 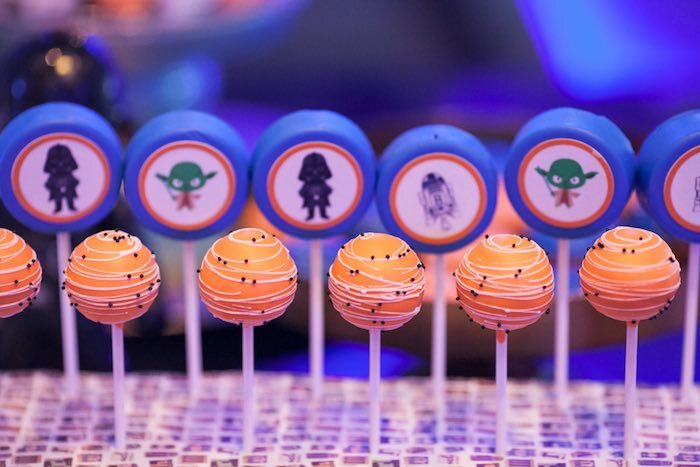 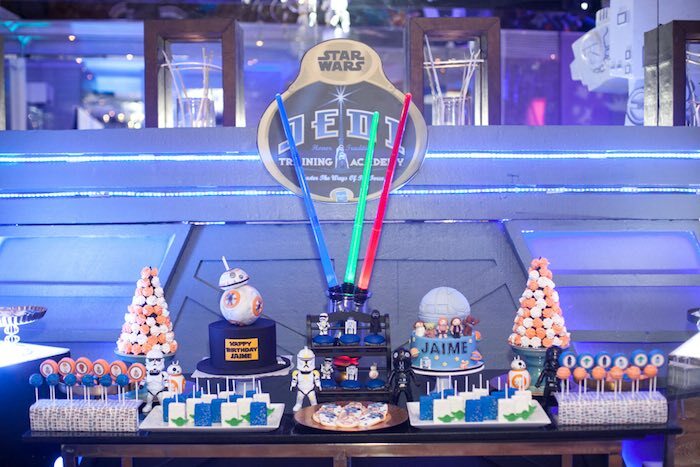 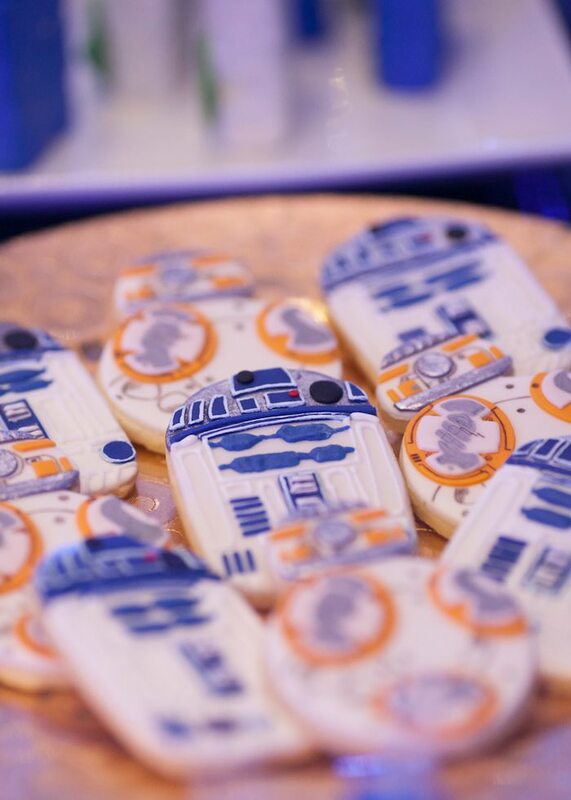 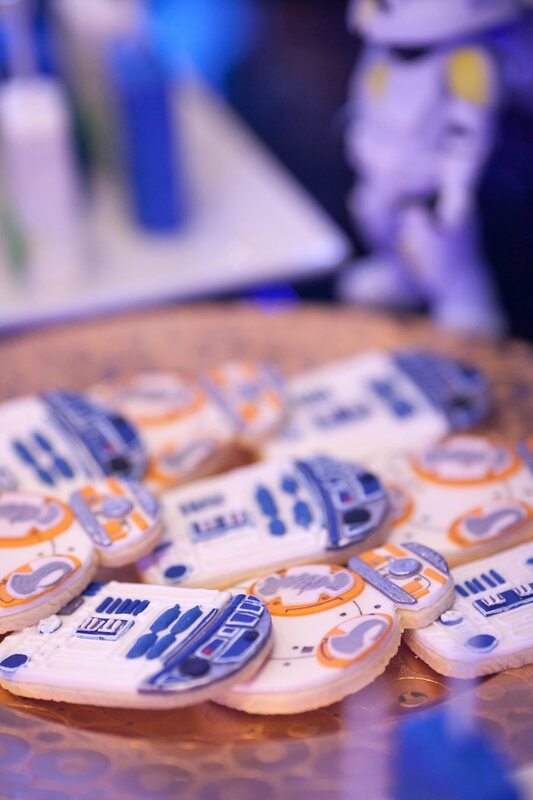 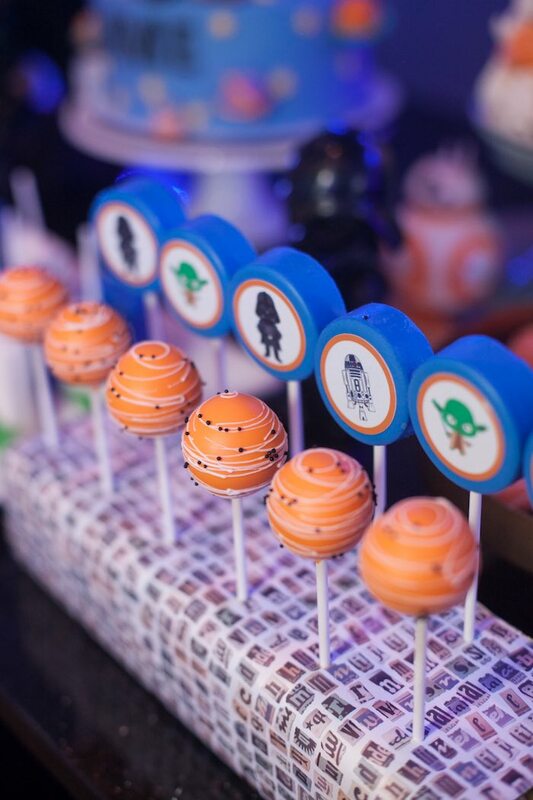 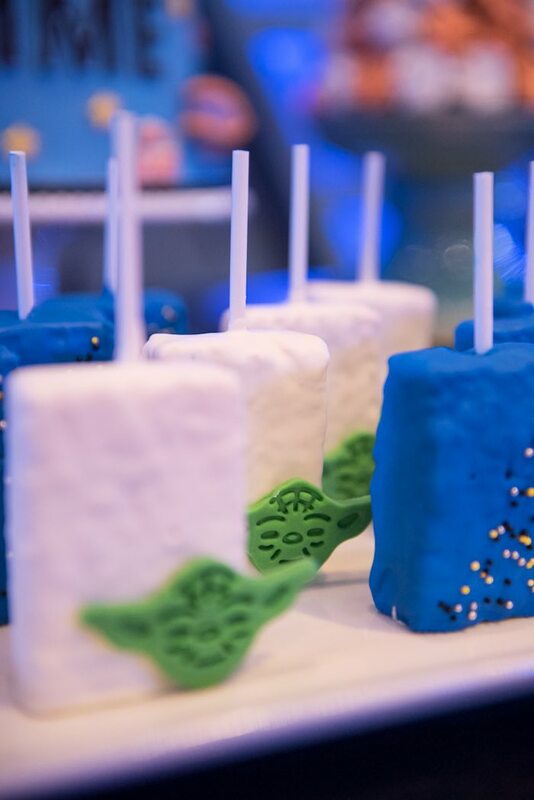 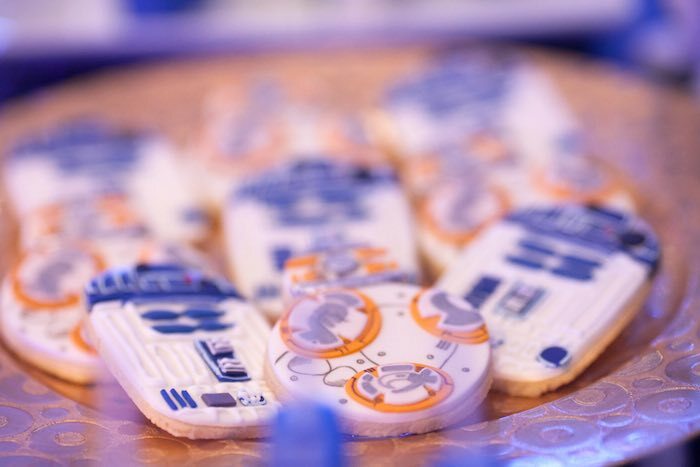 The dessert table spread includes an orange and white Meringue towers, blues and oranges of mini donuts, BB8 and R2D2 sugar cookies, Yoda rice crispie treats, cupcakes, cake pops, oreo pops, and a custom BB8 & Star Wars birthday cakes. 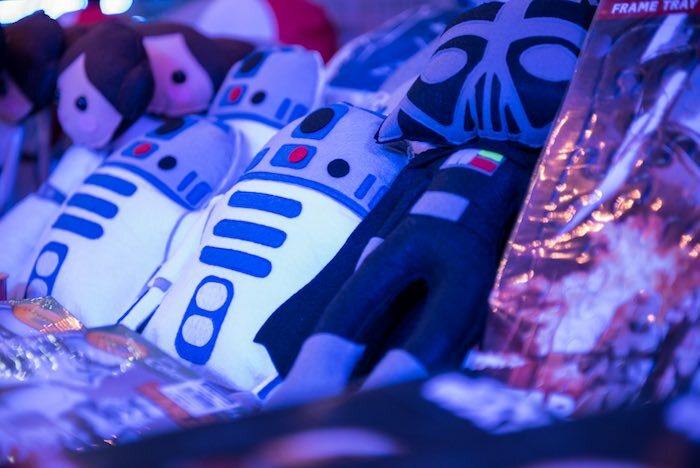 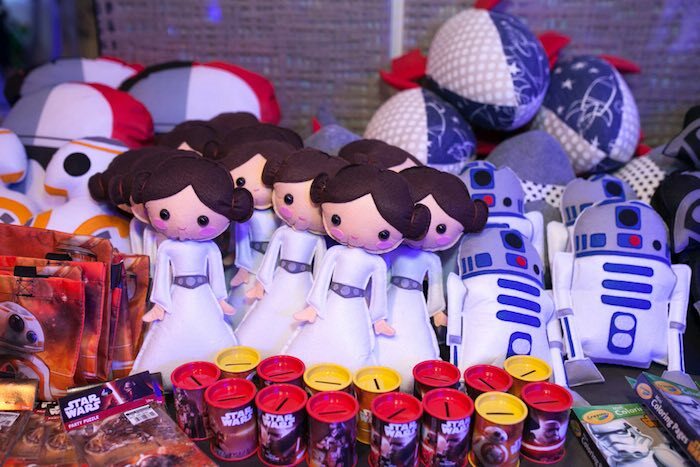 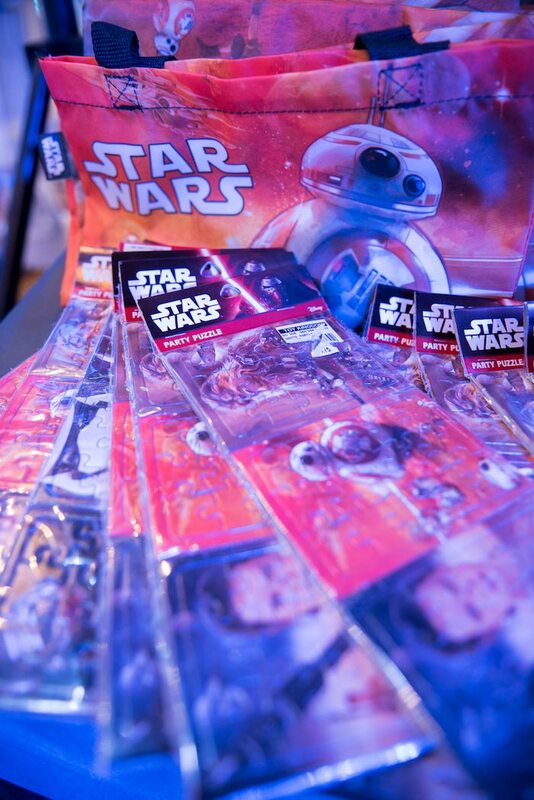 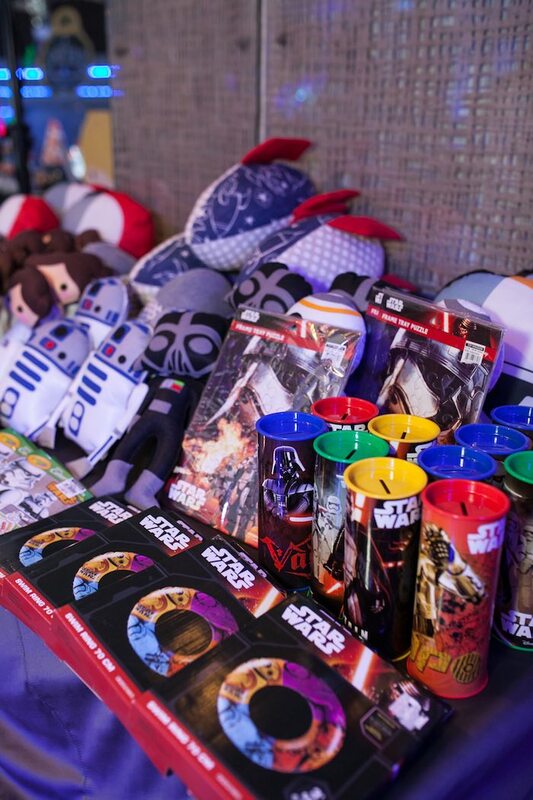 The giveaways and prizes were all Star Wars items. 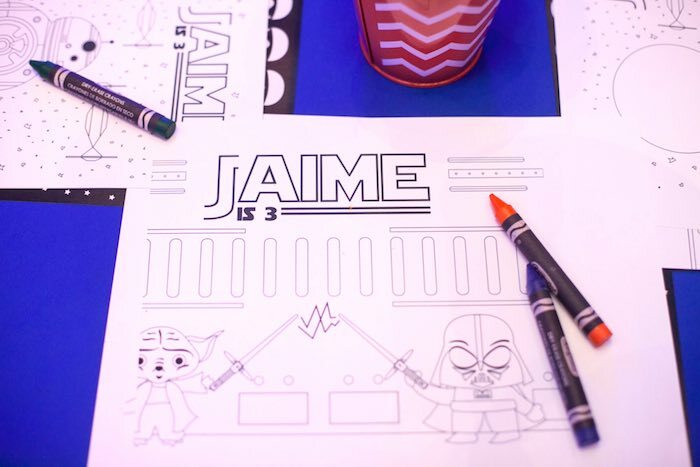 Jaime loved the plush toys that when they were delivered days before the celebration, he was already playing with them. 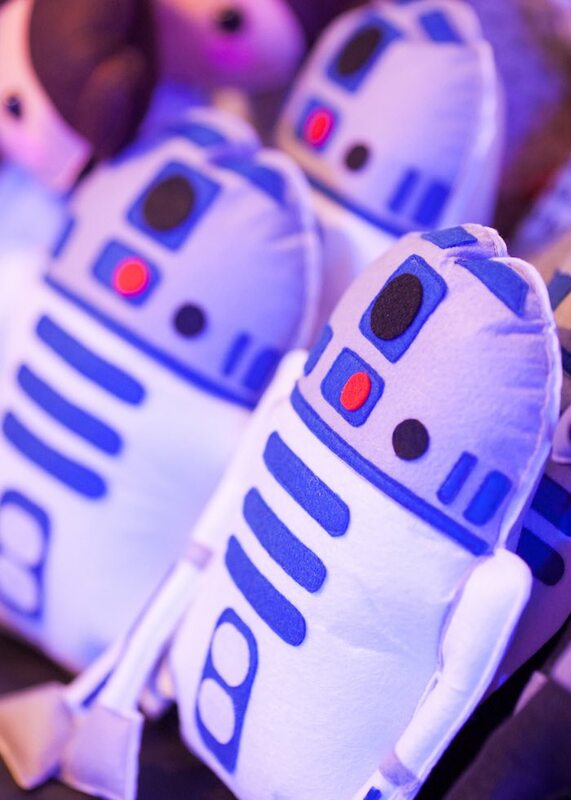 His friends began co-sleeping with us since then. 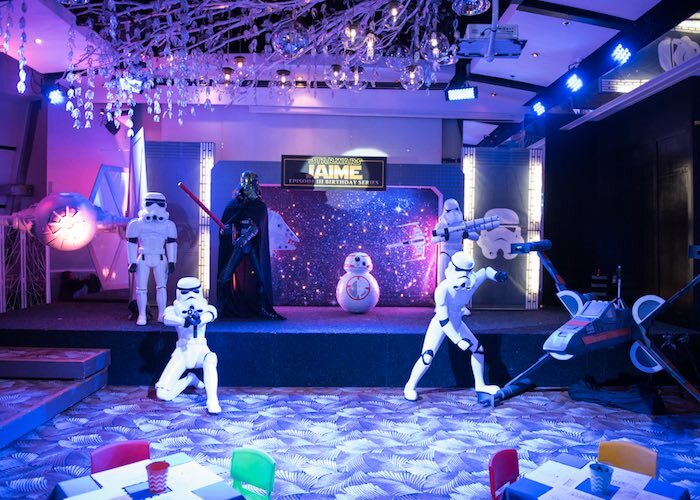 Make Believe Productions entertained the guests with games related to the theme; Search for Master Yoda, Moves like Vader, to name a few. 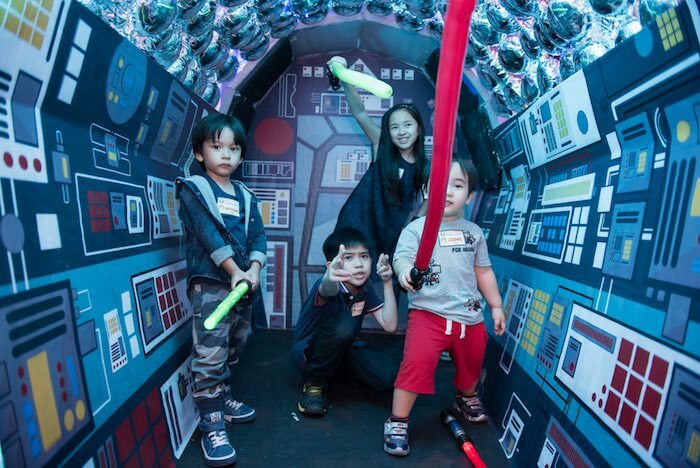 What was so exciting was the interactive storytelling about Star Wars Episode 5 The Empire Strikes Back through their energetic narration and audience interaction. 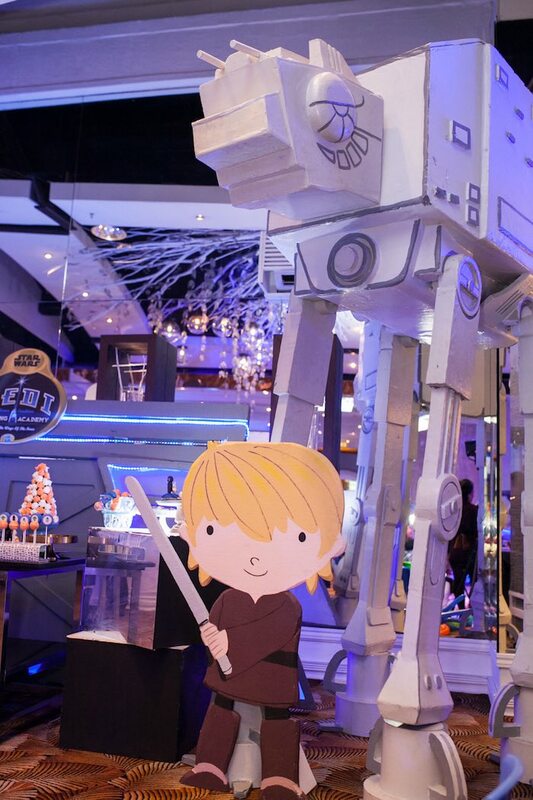 Jaime loved it and he even told me more story, Mama after the story ended. 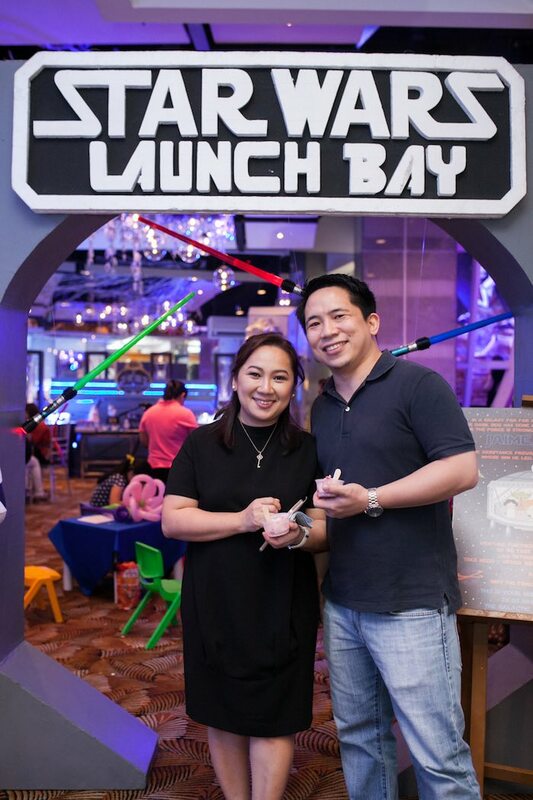 It was already few weeks ago but thanks to Krissy of Little People Photography we have great photos to keep the memories visual.